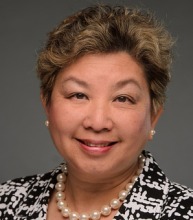 Regina L. Yan, MA, is the Chief Operating Officer (COO) at the Patient-Centered Outcomes Research Institute (PCORI). In this role, Yan is responsible for managing the day-to-day operations supporting PCORI’s mission to fund research that helps patients and those who care for them make better-informed healthcare decisions. As COO, Yan oversees all aspects of PCORI’s financial and administrative operations, including human resources, contracts oversight, compliance, facilities, budgeting, and information technology. Yan has a successful track record helping large foundations and nonprofit organizations develop the structure and capacity needed to operate more efficiently. Yan joined PCORI after serving as the first COO of the Peterson Institute for International Economics. There, she provided senior management oversight to finance, human resources, communications, publications, grants management, events, information technology, and facilities functions. Yan also served as executive vice president at the Eurasia Foundation, and for more than a decade, she directed the foundation’s general operations in more than a dozen countries and managed special projects, such as the economic education and research program, media viability fund, and small-business lending program. She currently serves on the advisory council at the foundation, providing counsel on matters related to institutional development, governance, and programming. In addition, Yan held various executive positions at IREX, an international research and education organization, where she provided management oversight to IREX’s field operations in 22 countries and launched its programs in Asia. Prior to that, she managed international programs at the US National Academy of Sciences and the Institute of Medicine (now the National Academy of Medicine). She served for over a decade as board chair of the Kyiv School of Economics (KSE), an international graduate economic program in Ukraine; and a founding board member of the East Europe Foundation in Ukraine and Moldova, in addition to other nonprofits in the US. She received her bachelor’s degree from Whitworth University in Spokane, Wash., and her master’s degree from the University of Hawaii.